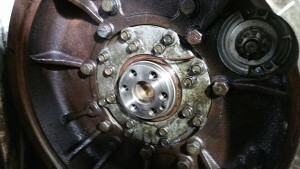 Customer attempted to replace the rear engine oil seal, damaging the new seal upon installation. Not only did they damage the seal, they also neglected to replace the main bearing case covers gaskets, creating double the original oil leak. 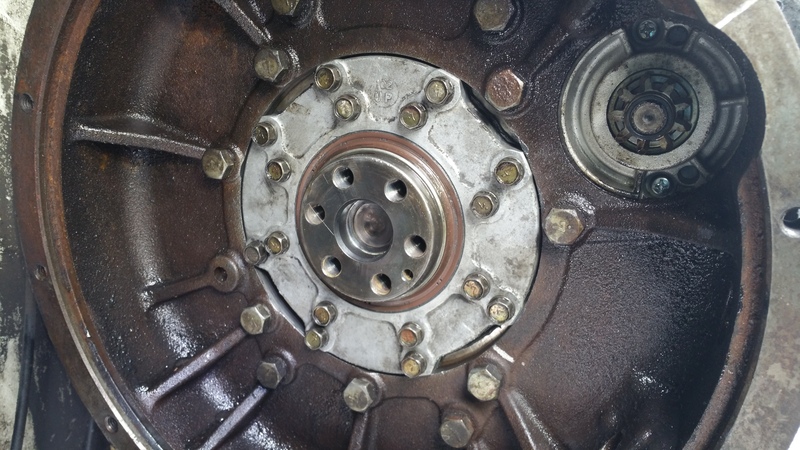 A properly installed rear engine oil seal and new main bearing case cover gaskets. The key to installing the rear engine oil seal is to grease the inner lip so it doesn't get hung up on the crankshaft.